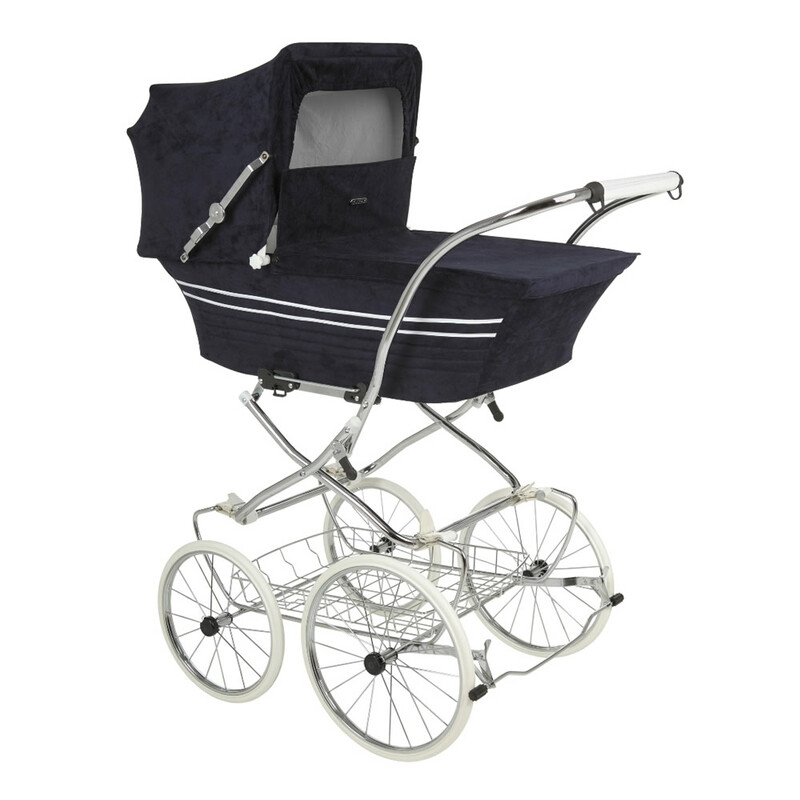 A stylish pram, not only pleasing to the eye, but also comfortable both to the child and the mum. 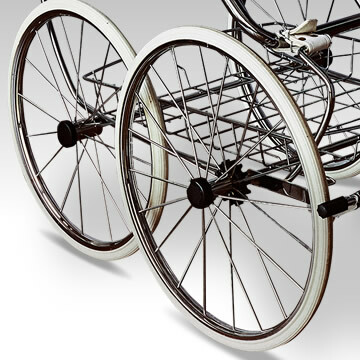 Its large wheels ensure a smooth ride, even in case of bumps and holes in the road. The pram is very easy to guide and manoeuvre. The introduced functionalities need to be harmonized with the pram’s design and its technical specification. 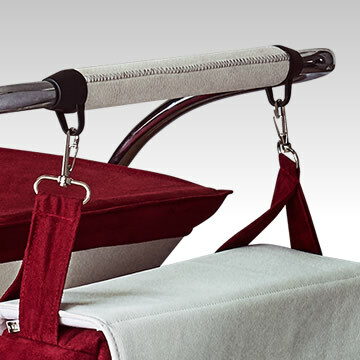 What is particularly noteworthy here is the opportunity to fix a comfortable bag. 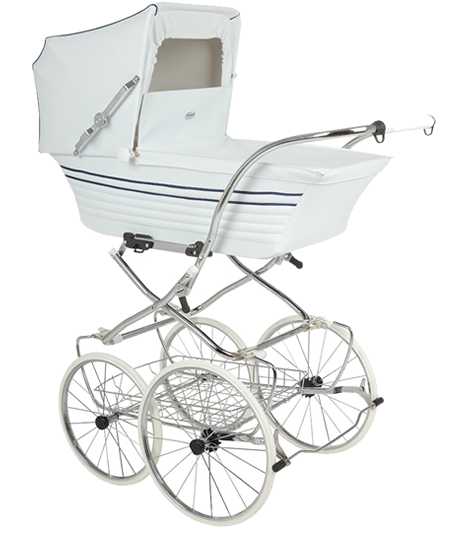 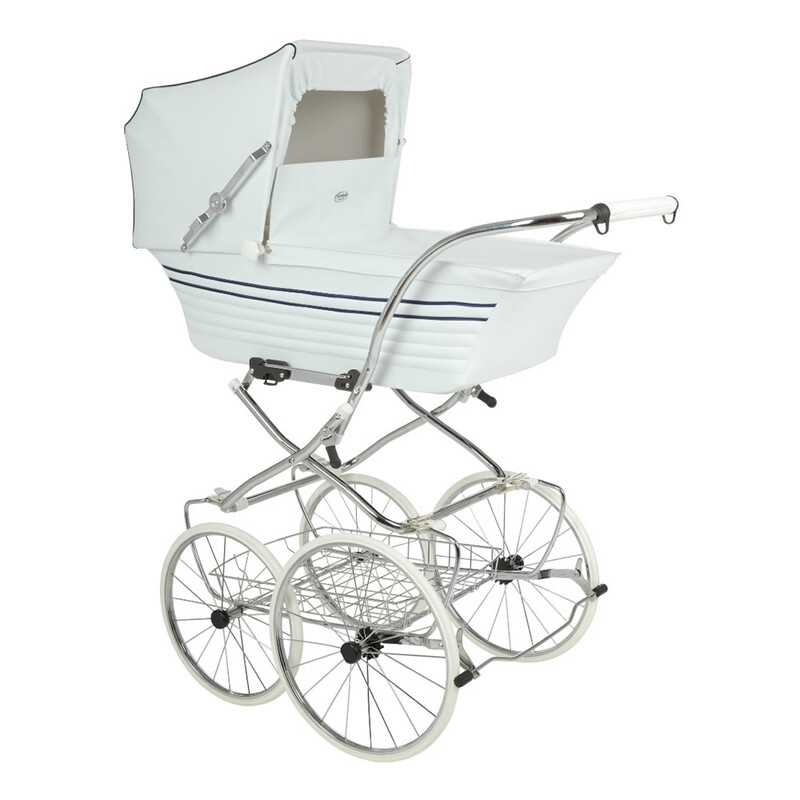 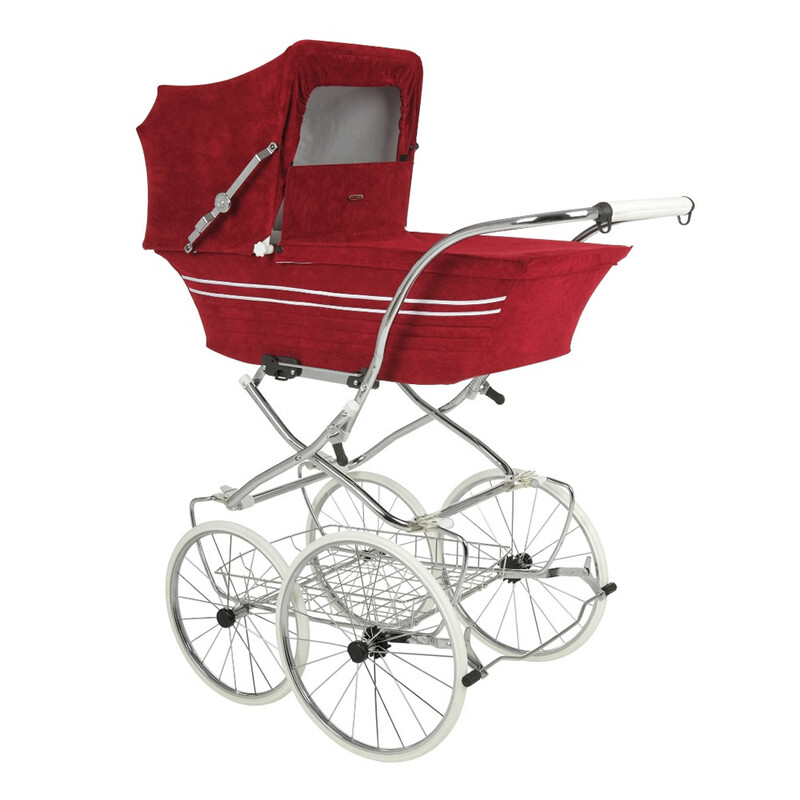 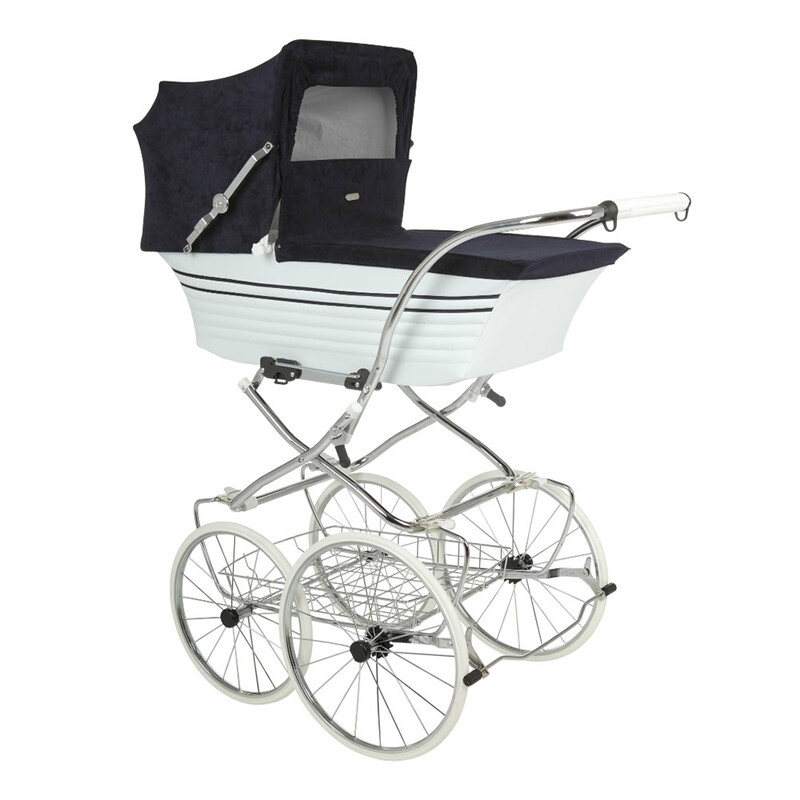 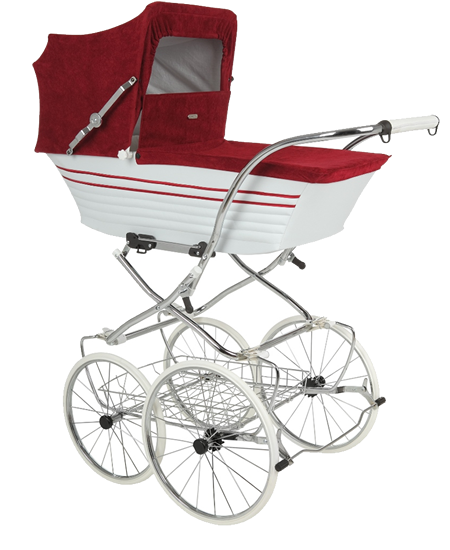 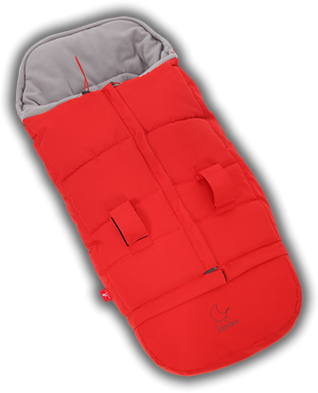 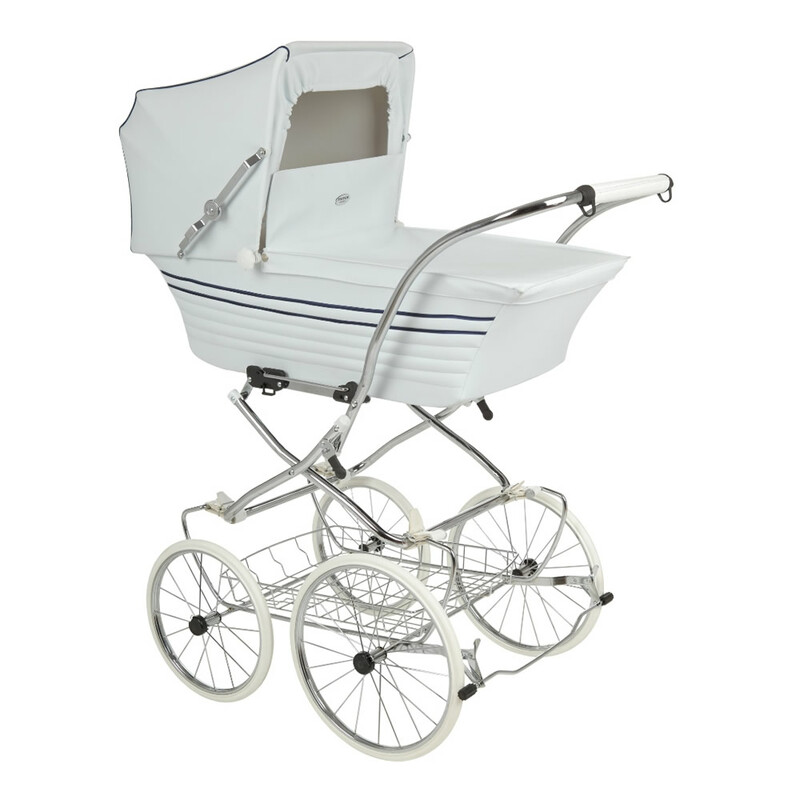 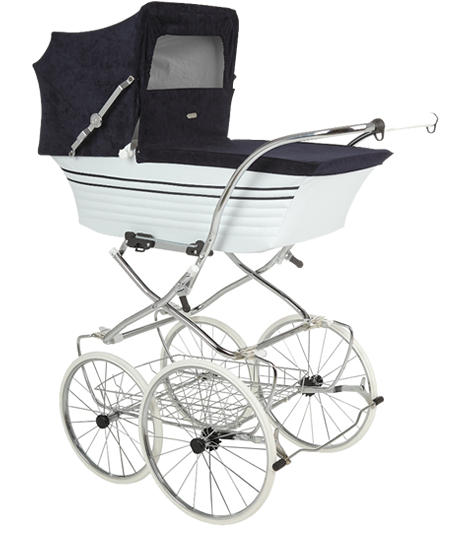 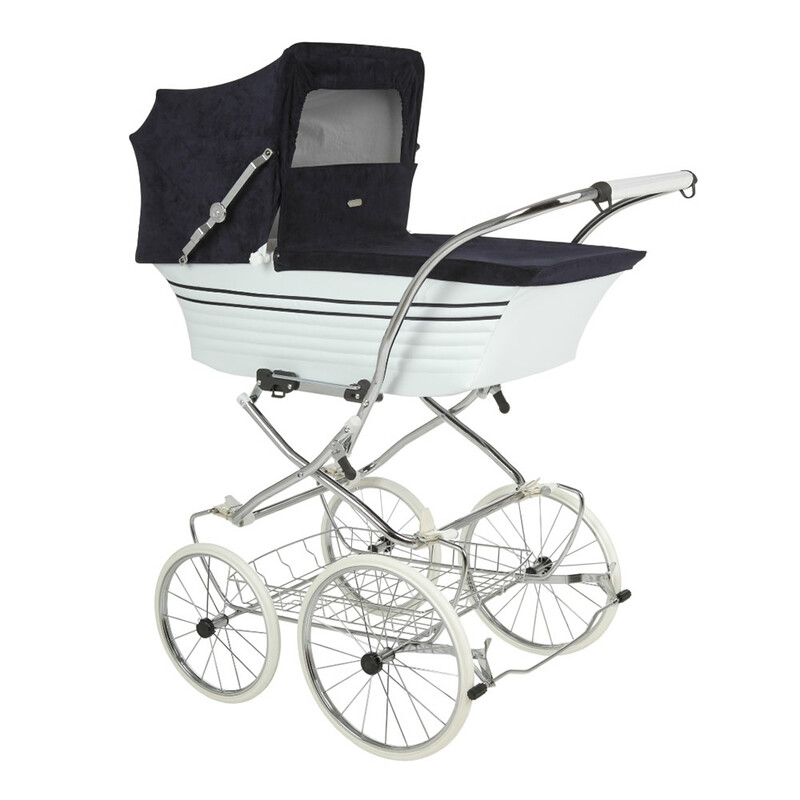 The pram is available in three colours (white, black and red) and their combinations. 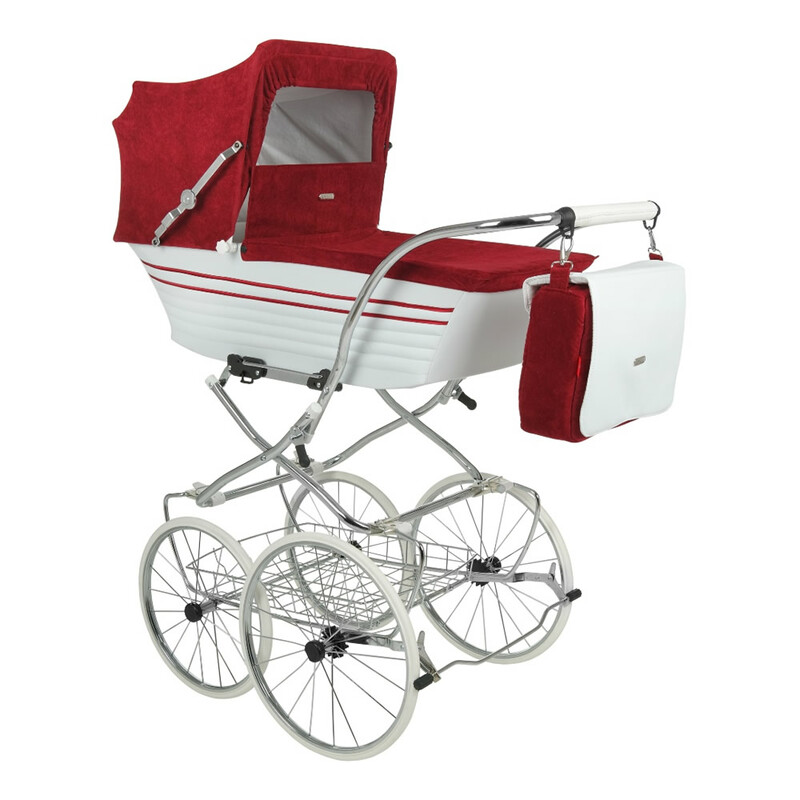 The offer presents the entire unit. 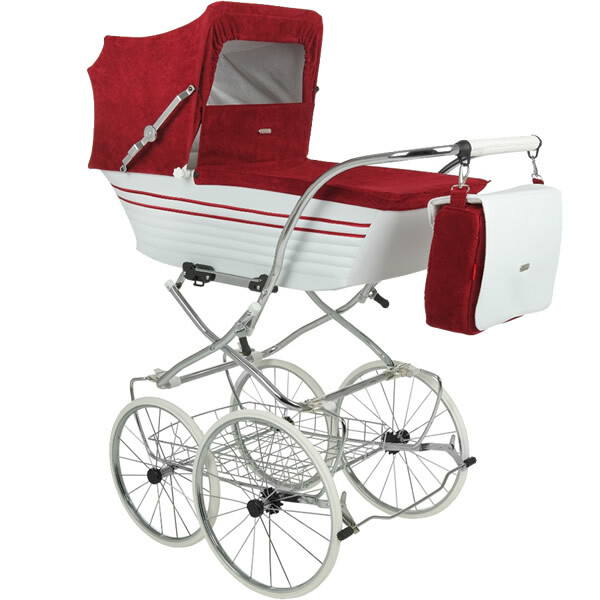 In case of this pram separate chassis and body colours are not available. 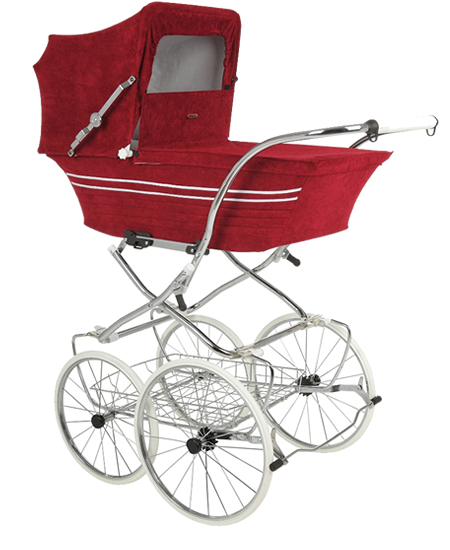 The gallery presents photographs of various colour options for the pram. 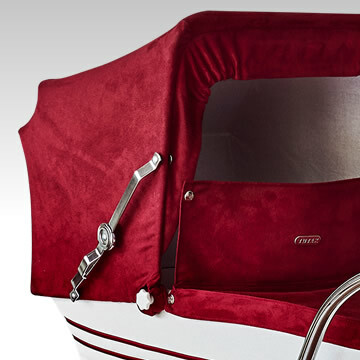 They allow you to choose the colour combination that suits you best.